This little booklet contains scriptures, from Zonelle Thompson's personal notebook. 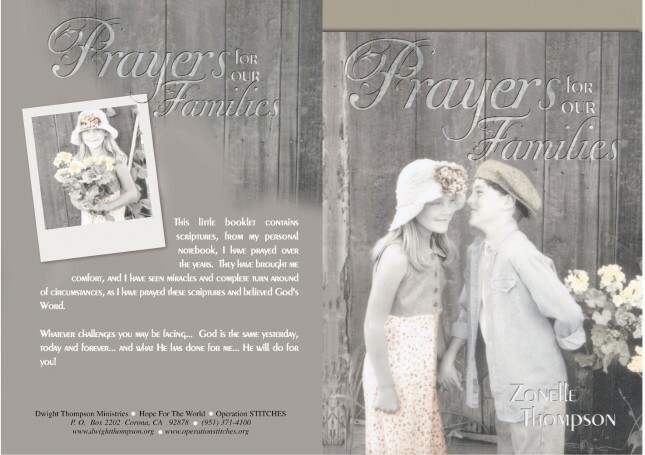 Zonelle as prayed these scriptures for many years and has seen miracles through the power of prayer. Whatever challenges you may be facing....God is the same yesterday, today and forever! What the Lord has done for Zonelle...He will do for you!